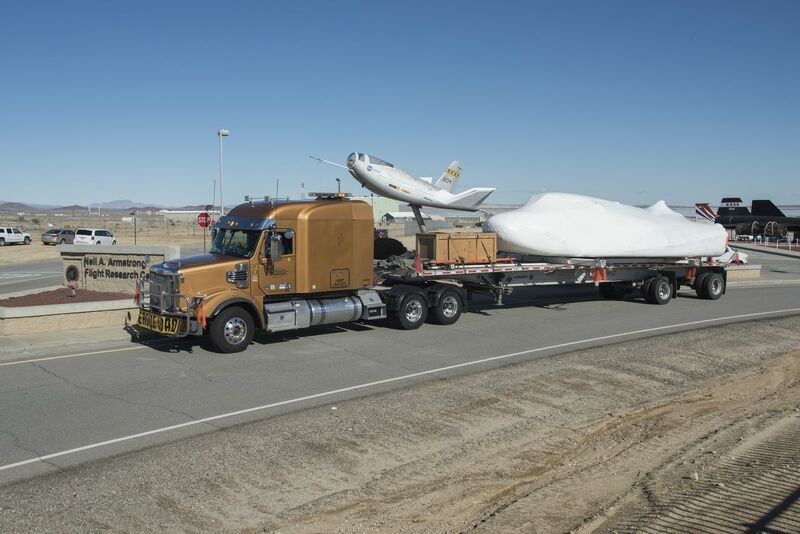 On Jan. 26, Sierra Nevada Corporation (SNC) delivered the engineering test article for their Dream Chaser spacecraft to NASA’s Armstrong Flight Research Center for its next round of testing. The testing is part of SNC’s developmental space act agreement with NASA’s Commercial Crew Program. The testing will help SNC validate Dream Chaser’s aerodynamic properties, flight software, and control system performance. The spacecraft will undergo several months of testing at the center as part of SNC’s third integration review, which is equivalent to an engineering preliminary design review. The developments in Dream Chaser’s hardware and software will prepare the spacecraft test article for a gliding approach and landing flight on Edwards Air Force Base’s Runway 22L. While Dream Chaser was not selected for the final round of the Commercial Crew Program, NASA did announce last year, 2016, that the vehicle was selected to be a third commercial cargo ship in the second phase of contracts for the Commercial Resupply Services program. The other two vehicles are SpaceX’s Dragon capsule and Orbital ATK’s Cygnus spacecraft. SNC is on a path that will, if the company meets its current timeline, deliver cargo to the International Space Station (ISS) by 2019. Data gathered from the current round of testing will inform the final design of the cargo version of Dream Chaser, which is expected to fly at least six cargo delivery missions to and from the ISS by 2024. SNC has advertised that each vehicle is designed to fly 15 times; however, it has not indicated if a single vehicle will deliver all six missions. Dream Chaser is a winged lifting-body spacecraft designed to launch vertically aboard an Atlas V rocket, deliver cargo (and eventually crew) to the ISS, re-enter Earth’s atmosphere, and land horizontally like a conventional aircraft. The last time the vehicle performed a glide-and-land test, the hydraulic system failed and the left landing gear did not deploy, causing the vehicle to flip over upon landing. An SNC official told SpaceFlight Insider that the landing gear was borrowed from NASA, however, and will not be used on the orbital vehicle. At what city/town is the Neil Armstrong Flight Center located? My guess is it’s somewhere out in the mojave desert or environs. Thanks for your time,Gregory L. Mitchell, West Caldwell,N.J. It’s located insider Edwards Air Force Base.